One of my Business mentors is the Leadership Guru John Maxwell. Reading John Maxwell books, eNewsletters and listening to his audio files has empowered me to grow as a business leader, coach and a writer. Moreover, John Maxwell books has inspired many of my leadership post on this blog and was great inspiration for my 21-Day Master mind eClub. I must say that I agree with John 100% and I have learned the hard way that building relationships with your relationship with your parents and staff has a major effect on your business; in order for you to have a successful business you must learn to equip your staff; your attitude can either help your business or ruin it and according to John Maxwell, Everything rises and falls on your ability to lead and this is why it is vital that you grow as a Leader. Keep in mind that John Maxwell is a Leadership Guru and he has been leading others for over 40 years. With that said, I think that we can trust that his 4-Keys to Success formula will work for you too! Listen to my audio about my experience speaking with John Maxwell, click here. As I finished up my weekly staff meeting today, I realized how far I have come with leading staff meetings. My first staff meeting was held in the spring of 2003 and I thought the purpose of a staff meeting was to address issues. In fact, I hated conducting staff meetings. Moreover, I thought that staff meetings was a great time vent to my staff and listen to their complaints. I also believe that my prior experience with staff meetings was simply a reflection of my leadership at that time and an indication that I needed more training in the area of conducting staff meetings. Over the years, I have become quite effective at conducting staff meetings. In fact, I am a firm believer that practice makes perfect! However, today I want to encourage you to not discuss problems at your staff meetings. Instead of discussing problems at your meetings, turn your meetings into a training, sharing and mentoring session and discuss problems in a brief informal one-on-meeting meeting. It has been my experience that when you discuss problems at meeting, the staff members are up tight and afraid to share their point of view. Also, they may not give as much feedback. Moreover, I have noticed that at staff meetings where problems are discussed, the body language includes, “the crossed arm posture.” Moreover, when arms are crossed, this usually means that your employees are feeling vulnerable and they are closed for argument. Meetings take away valuable planning time from teachers and not to speak of how valuable your time is as a business owner. So…..why waste 30 minutes on discussing problems; when you can easily correct problems with mentoring, training and sharing at weekly or monthly staff meetings. Recently I decided to start my meetings with a thought-provoking question; to encourage the teachers to talk about quality care practices and how to solve problems in their classroom. Then I invite the teachers to give one another feedback. Furthermore, after the teachers coach one another through problem solving in their classrooms, then I offer suggestions and resources. When it is my turn to offer suggestions, I notice that the teachers are writing while I am talking and this really encourages me to share more; and then I give a challenge for the week. This is where I gave them the challenge to evaluate their classrooms with excellence and whatever was not excellent, to change it and make improvements accordingly. A week later, we discussed excellence and the teachers decided to focus on having a more organized classroom and they were really detailed about how they wanted things to look. You may have noticed that I did not give orders, I simply posed a challenge and they delivered more than I could have imagined. I realized that the teachers were finally looking forward to meetings, when they all gather in our meeting circle without me and my Assistant Director, reminded me of the meeting today! I encourage you to implement the tips above in your next staff meeting and be sure to share your feedback with me. What are your thoughts about this post? 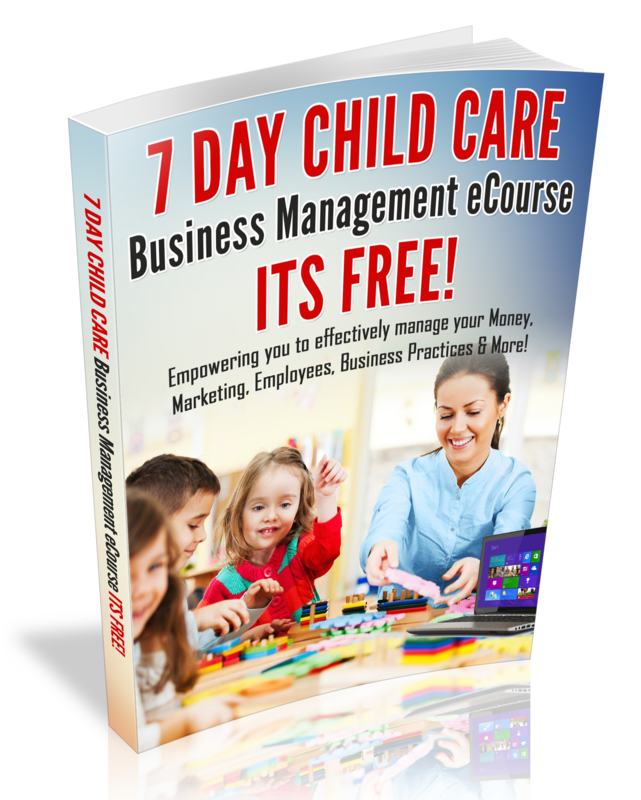 For more Business & Staff management tips, I want to invite you to join me in the Child Care Center Owner eClub!